Learn the basics of sock knitting with this free on raverly pattern caled Rose City Rollers! by Mara Catherine Bryner. They are easy, roll-top ankle socks perfect for summer knitting and wearing. These socks are knit from the top down, with a tradition heel flap and heel turn and three size options. It’s a great pattern for a beginner sock knitter, and a fun quick knit for more advanced sock knitters. 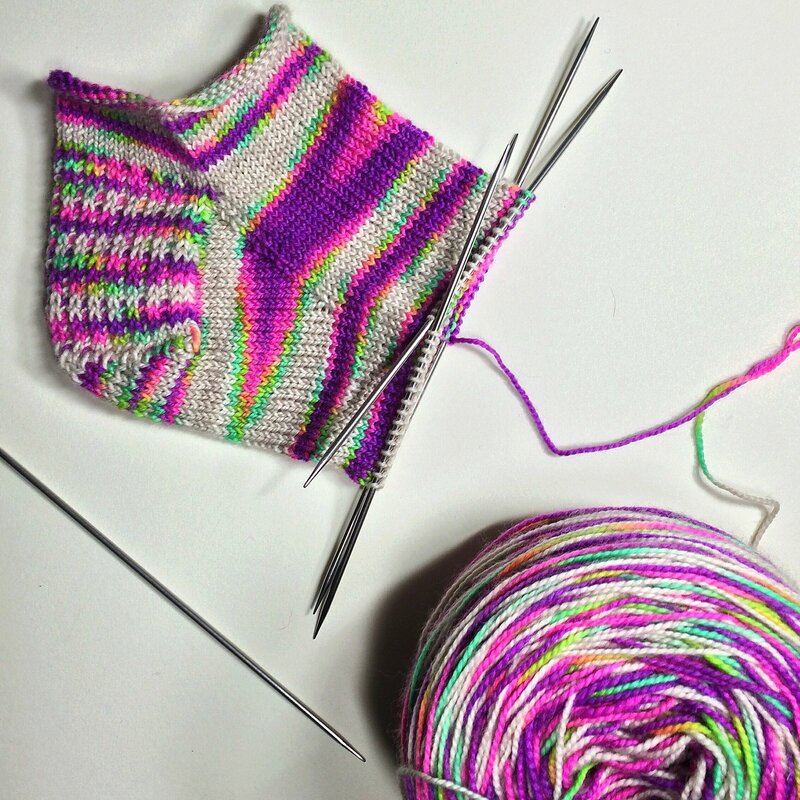 This sock is perfect for super bright, variegated yarns, they add a fun pop of color to any summer outfit!